TV stars Gautam Rode and Pankhuri Awasthy got married on Monday in true Bollywood-meets-a-fairy-tale style. The wedding took place in Tijara Fort Palace, Alwar, Rajasthan. However, for the last two days, functions related to the wedding have left fans asking for more. 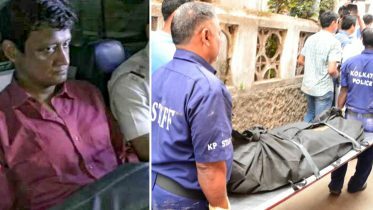 This is the third high-profile wedding from the television world, after those of Aashka Goradia and comedy queen Bharti Singh. The two met as co-stars while shooting for TV serial Suryaputra Karn and hit off instantly. The first pictures and videos available from their wedding show Gautam sporting a cream-coloured and embroidered silk churidar kurta and teaming it up with a pagdi (turban) and what looks like beaded sehra (another wedding adornment worn by men in north India). A video shows Gautam entering the wedding venue as part of the baraat (wedding party members from the groom’s side). As others are dancing, Gautam joins in. How cute is that! In another video, we can see Gautam sitting alongwith his ‘partner for life’ Pankhuri. She is dressed in a rich and ornate, heavily embroidered pink (may be red, hard to figure out) ghagra choli (Indian long skirt and blouse). She has teamed it up with heavy embroidery. In another video, we see them walking down a fleet of stairs. 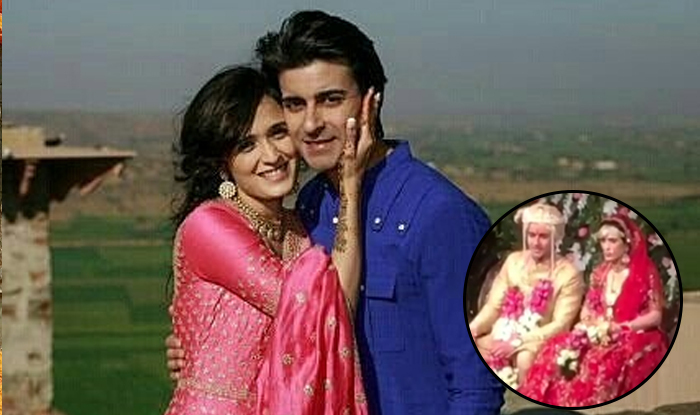 Be the first to comment on "SEE PICS: Gautam Rode gets married to Pankhuri Awasthy"